These two weeks will be really difficult for me. I have so many things and tests to do and I was thinking of not even trying to write this post, because I am feeling exhausted. But I managed somehow to get some tree time for this post and I will post a lot of new post in another week. I have so many new photos and ootd's that I want to post here. If you didn't see when you went to my blog, I have changed my blog url. This was one of my goals for my blog for such a long time. And I finally got huts to do that!! I'm so so so exited for it! You can only imagine that. So, as you have read on one of my previous post I started a healtfy lifestyle by changing just a bit at a time. Now I want to tell you about one of my favorite dinner/lunch idea that I have been loving it. 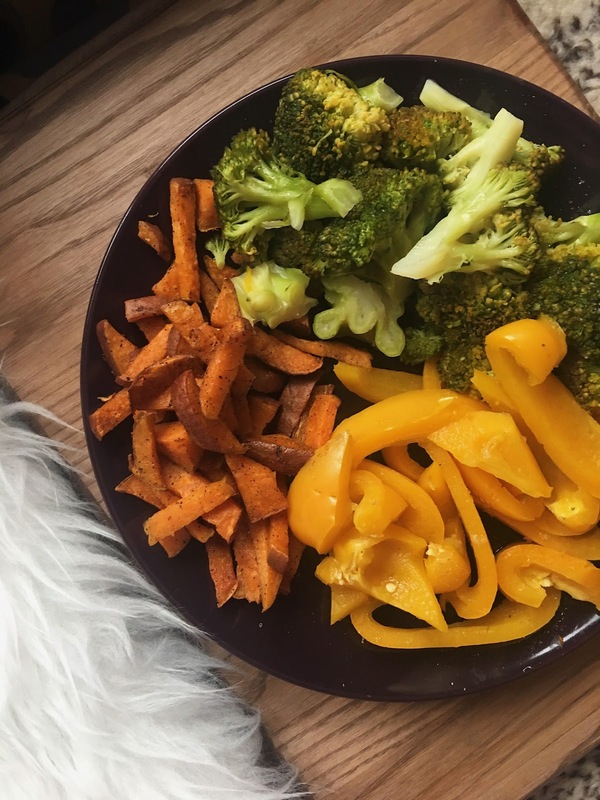 It's just simple broccoli with some paprika and sweet potatoes. I usually just steam paprika and broccoli. For sweet potatoes I add some olive oil and some peper and salt and put them in a an oven for 20 minutes at 180 degrees.That's it! It's super easy and i think everyone can do it. Have a great Thursday and I will be more active in two weeks for sure! Quick and healthy veggies make the best meals! 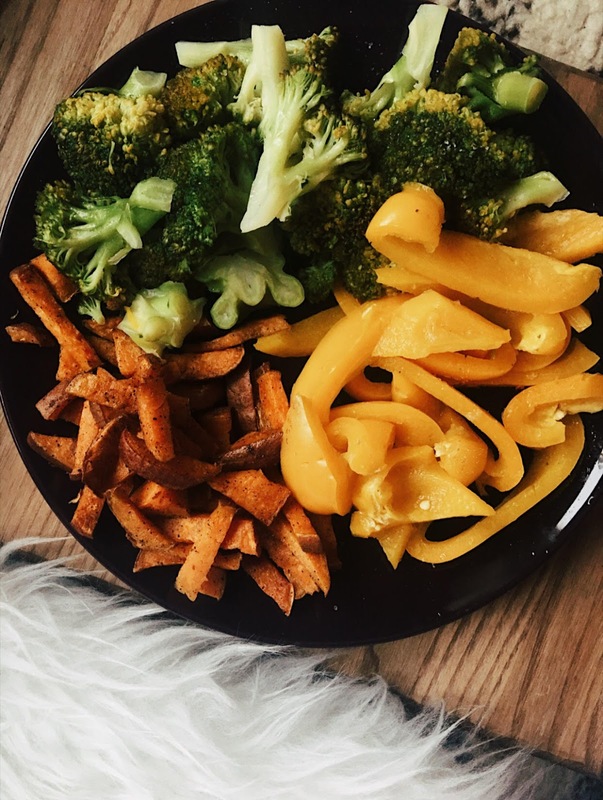 That dish with the sweet potatoes, broccoli and bell peppers looks delicious!!! I hope your tests and things to do have gone well. Thanks for posting the vegan meal cooking methods - am looking forward to your future OOTD posts too!